Even for the early birds, we all fall into our days where we’re motivationally challenged. And to match that lifestyle, we should have an abundance of items that lets us exert as little effort as possible, right? It’s unsure whether these items are novelty works of art — or godsends for people who really can’t be bothered. Possibly a bit of both. Either way, you’re bound to buy at least one thing on this list. Apparently this onesie-mop was a joke at first. 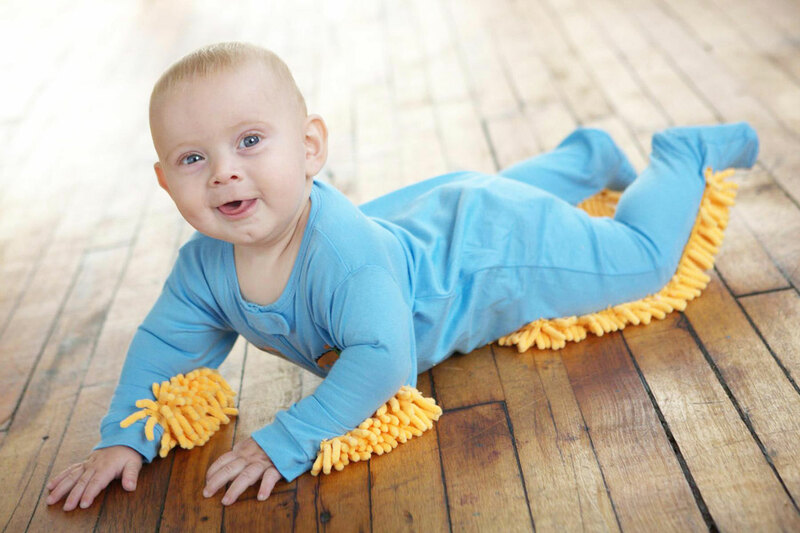 But now people are actually attaching these to their children to mop the floor. Well, it is difficult to teach babies a work ethic, so since this fits in with their crawling lifestyle, it’s a win-win situation. It’ll be good for your house cleaning budget, but we’re not sure how dirty your baby will end up after a good round of dusting. The website says they’re soft and comfortable. What will they do for your tot’s immune system?